Gal Gadot was back on the carpet for the premiere of her new animated film, Disney's 'Ralph Breaks The Internet' at the Curzon Mayfair yesterday(November 25th) in London. 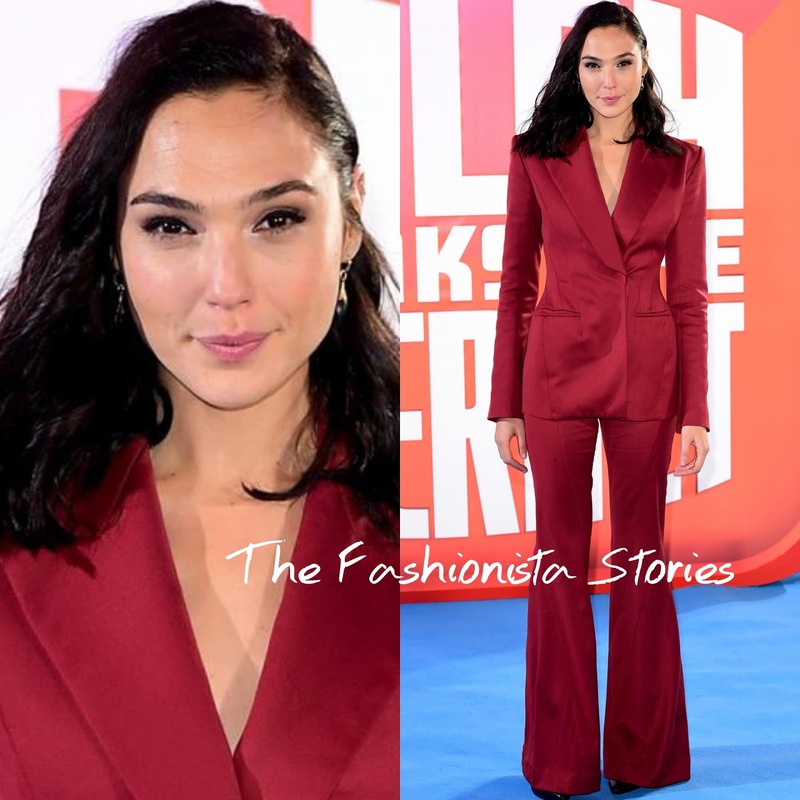 Taking on the power suit look, she wore a Bordeaux MUGLER two-piece suit, featuring a padded shoulder, crossover blazer and the matching wide-leg pants. Love the color and the suit in general but the creases and the puckering which makes it look ill-fitting are a bit distracting. Mainly because it's visible on the entire suit but this is not a bad look. Opting for a natural makeup look using REVLON products, she finished up with side parted tresses and STUART WEITZMAN pumps.